The implications associated with rental property tax deductions should not be underestimated. A sound tax strategy can turn a good asset into a great one, and a great asset into something far better than you could have imagined. Few things, for that matter, are more beneficial to today’s investors than rental property tax deductions. Continue reading to learn how to navigate the process yourself and reap the benefits. What Rental Property Records Should I Keep? There are no records today’s rental property owners shouldn’t hold onto. The more documentation retained from business operations, the better off investors will be. It is unequivocally better to be over prepared when it comes time to do your taxes than to be underprepared. Maintaining extensive records should give landlords something to look forward to come tax time, instead of something to fear. Successfully managing a rental property is challenging enough without having to worry about an audit from the IRS, let alone an entire portfolio of assets. Therefore, it’s in the best interest of today’s investors to hold onto as many records as they can. Each and every tenant lease that has been used. Any and all legal documents that have come about as the result of your ownership of the property, not the least of which include fines, inspection reports and court appearances. All permits that have been pulled on the property. Any expenses that can be depreciated over time, such as the property itself. The records detailing any expenses dedicated to the legal structuring of a company, such as a LLC, partnership or S Corporation. Any and all insurance records pertaining to the property. Documents and underwritings detailing the obligations of the respective loan. Tax records from the previous few years. The property title and/or deed. Documents identifying advertising costs associated with a business or property. Records pertaining to the interest paid on both the home’s mortgage and any credit cards used to help the business. Any professional and legal fees, which could include working with accountants and lawyers. Business expenses dedicated to maintaining the company’s operational status quo. Business expenses could include anything from office supplies to taking a client out to lunch. Keep records detailing all of the rent received for at least five years. Records detailing any repairs that have performed on a respective property. Hold on to the records identifying security deposits, as landlords will have to record them as income if kept at the end of a lease. Travel expenses incurred from running the business, such as traveling to and from the property. Records of the utilities that have been paid. Keep records of any wages that have been paid out to employees or independent contractors that have worked on your property. Security Deposits: While technically not rent, a security deposit may be considered income if it is collected as an advanced final payment or if any portion of it is kept as a result of the tenant not living up to the lease. Any portion of the security deposit that is retained by the landlord is considered taxable income and, therefore, fits into the definition of rental income. Payments For Canceled Leases: According to the IRS, income generated from a tenant canceling their lease should be counted as rental income. To be included in the landlord’s income the year they were received, any payments generated from a canceled lease are considered to be rental income. Expenses Paid By Tenant: Any and every expense paid by the tenant is considered rental income. If the tenant pays the water bill to the landlord, for example, that money should be earmarked as rental income. The expenses may be deducted from your income in the same tax year they are collected if they are deductible expenses. Alternative Payment Methods: In the event the landlord receives an alternative form of payment, like property or service, they must include it in the rental income. For example, the tenant may offer to paint the home in place of paying rent. The services received should be included in the landlord’s rental income. Lease To Own Income: Any payments received under a lease to own contract should be included in a landlord’s rental income. Both income and expenses resulting from renting out a property are to be reported on Form 1040, Schedule E, Part I, according to the IRS. Regardless of whether the asset being rented is an entire building, an apartment or a single room, the generated income and expenses go on the aforementioned form. In addition to the income and expenses, landlords should be sure to include depreciation for each asset on the Schedule E form. In the event an investor is reporting rental income for a larger portfolio of properties (more than three), they will need to complete and attach as many Schedule E forms needed to list the assets. Lines one and two will both need to be completed for each Schedule E form, not excluding the property address. The “Totals” column, however, only needs to be filled out once, regardless of how many Schedule E forms are attached. Few things, if any, will actually impact an investor’s bottomline more so than the way they manage their own rental property and taxes. It is up to today’s entrepreneurs to not only familiarize themselves with how to navigate rental property taxation, but also use it as a tool. A sound understanding of the tax benefits associated with rental properties can turn a good asset into a great one. 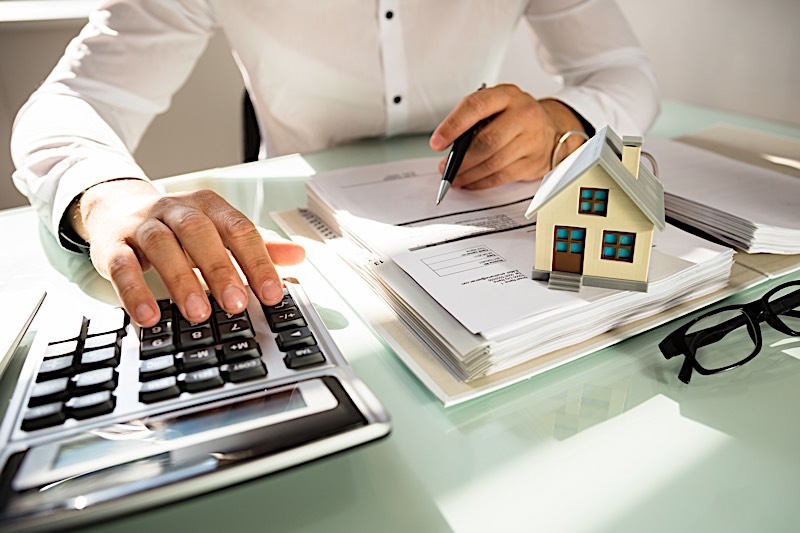 Never take your rental property tax decisions lightly, as you may quickly learn that they can play a significant role in your real estate business. Rental property tax deductions can contribute immensely to an investor’s bottomline. The tax benefits of rental property can’t be underestimated, and can sometimes rival the actual income being produced by the asset itself.